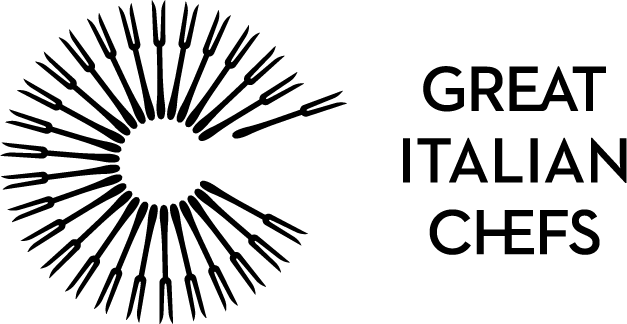 Great British Chefs CEO Ollie Lloyd travels to beautiful Parma as part of an expert judging panel, tasting the very best pasta dishes from all four corners of the world. When I was invited to be a judge for the fifth Pasta World Championship, I have to admit I didn’t know what to expect. 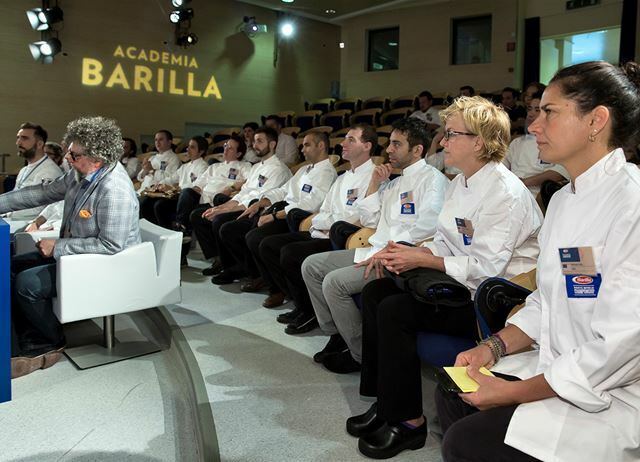 I knew there were chefs coming from all over the world and I knew that Barilla was the sponsor but beyond that I was blissfully ignorant. 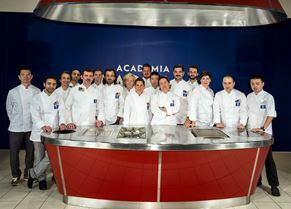 When I arrived at The Academia Barilla in Parma on a muggy Friday morning I was greeted by other members of the ‘technical jury’. I was informed that between 9.10am and 12.40pm I would be trying seventeen dishes from a truly global collection of chefs. They had travelled from the United States (Maine and Orlando), Australia, France, Turkey, Germany, Slovenia, Greece, Spain, Croatia, China, Japan and Switzerland – all with their eye on the prize. We were asked to judge the dishes on a range of criteria that included how well the pasta was cooked, presentation, overall appeal of the dish, pairing of the ingredients and Italian authenticity. Our challenge was to choose four dishes to go through to the final the following day. The dishes that followed gave me a great insight into how pasta has been adopted by cuisines around the world. While pasta remains a quintessentially Italian product, the way that both professional and amateur chefs cook it and match it with ingredients clearly varies all around the world. 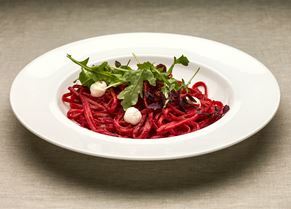 We started with a dish made by Marko Rossi from Greece who presented a red linguine which had been coloured and flavoured by beetroot-infused water. Served with Caprino cheese, wild rocket and baby beetroots, it set a high standard for the dishes that followed. Before we had time to reflect, we were off to to China for a dish that Simone Villa serves in Shanghai that included a black truffle, avocado and wasabi mousse and a Cognac jelly! However, it proved to be one of the most controversial dishes as it was very much designed for an audience that wasn’t Italian and, for the jury, it strayed too far from what pasta is all about. From China we travelled to Turkey with Daniel Evangelista who served a vermicelli with mussels, nettles and orange scent. It was a welcome return to pasta as we know it; one of those dishes that transports you to those seaside restaurants which can make an entire holiday. We then moved to Spain with Mark Delia, one of the chefs who eventually made the final. 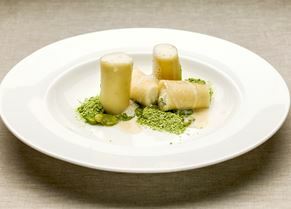 His dish challenged our preconceptions that cannelloni is a reclusive pasta, often hidden beneath a sauce. Mark presented his cannelloni like a cluster of medieval towers, but rather than being filled with rickety staircases that are exhausting to climb, they were full of ricotta and fresh baby broad beans, surrounded by truffle foam and broad bean powder. It is one of the dishes that I plan to try and make at home! 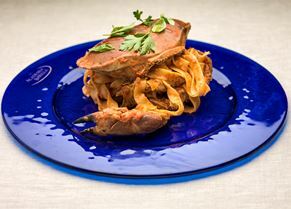 From Spain we journeyed back to China, where we were confronted by a crab stuffed with fettucine – a dish that was punchy in every way possible. Afterwards we went to Sweden with a hilarious chef called Pietro Fioriniello who claimed it was the job of a chef to make sure that at the end of a meal couples should want to make love, not pass out in a food coma! 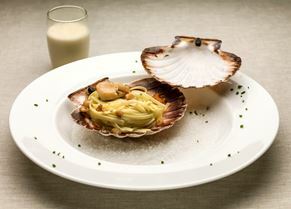 He presented a great dish in a scallop shell that was called ‘Misery and Nobility’ – it was as tasty as it was conceptual. Along the way we had our fair share of translation hilarity; the winner was a dish that was introduced to me as ‘Bavette with Warty Venus’. Menus nowadays might be known for crazy titles, but this was clearly a step too far! We then journeyed to Japan with a chef called Yoshitaka Miyamoto, who spent twelve years in Italy and then returned to his homeland to create an Italian restaurant which soon won a Michelin star. Yoshitaka was one of the chefs that got through to the final four and deservedly so. He presented a rigatoni with a sesame and prawn powder, topped with clams, caviar and chives. The dish was created using a Japanese pestle and mortar, in which the chef turned the shrimp, white miso, garlic, white sesame and basil into a very fine and rich pesto. We then had two chefs from the United States, who embodied the farm-to-fork approach that has made the US such a leading light in foodie circles. Melissa Kelly has won numerous awards and owns the fabulous looking Primo restaurant in Rockland, Maine which has its own farmland with pigs and organic gardens. 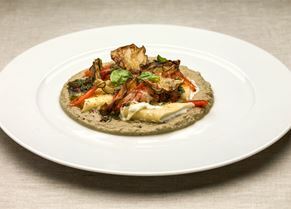 The other US-based chef was Kathleen Blake, who spoke about creating dishes that challenge her clients’ preconceptions that vegetables are boring. She created an open summer lasagne that had some beautifully cooked summer squash, courgette and heirloom cherry tomatoes tucked into a couple of sheets of lasagne sheets sprinkled with pecorino. Many would assume that fourteen dishes in the judges would be beginning to flag, but we weren’t allowed to, as two of the best dishes were yet to come. We were taken to Germany by a young chef called Umberto Massimo Gorizia, who has cooked for the Heads of State Summit in 2015. Umberto opted to use cannelloni and crafted one of the more complex dishes presented at the tournament. The cannelloni were laid on a plate, stuffed with ricotta and Parmesan and surrounded by a swirl of aubergine and basil pesto. Raw Gallipoli prawns that had been marinated in orange juice, salt, pepper and olive oil, aubergine ‘chips’ and tomato slices were layered on top. 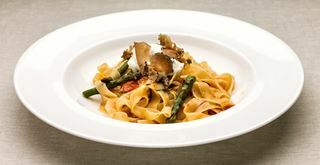 It was a dish that showed that pasta, approached the right way, can be on great tasting menus – it just requires creativity and imagination. The final dish to be presented was from a chef called Jure Tomic from Slovenia. He was someone who had really thought about the dish he was to create. Not only had he brought his own plate, reminiscent of a volcano, but he finished the dish in front of the judges with a sprinkling of snow! If one takes the snow out of the equation, it was one of the simplest dishes we tried and was a celebration of fusilli and zucchini. Seventeen dishes in, Jure managed to impress the judges and secure one of the four finalist places. 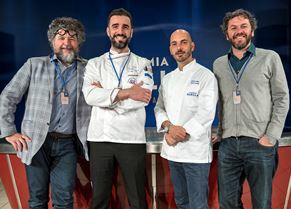 On the second day, the technical jury was joined by Paolo Barilla, legendary chef Davide Oldani, famous Italian actress Vittoria Belvedere and Barilla’s own in-house chef. We were given the chance to taste the four dishes all over again, but this time they had to be cooked in front of an audience. All the chefs rose to the challenge and managed to deliver their dishes in forty minutes. It was fascinating to see them all delivering their dishes with tremendous confidence despite the TV cameras running, bloggers live broadcasting to Facebook, a presenter asking questions and with running commentary from the jury. 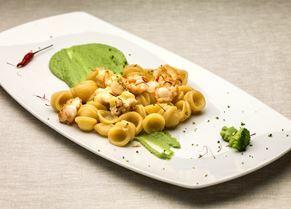 In the end Jure Tomic’s dish won and he was crowned the winner of the fifth Pasta World Championship. It was a dish worthy of the prize and we even managed to secure the recipe, so you can give it a try at home. Reflecting on the whole experience, I was struck by how much pasta changes as it travels around the world. Different chefs brought elements to their dishes that traditional Italian cooking wouldn’t normally have space for (curry powder and wasabi being good examples). However, the chefs treated the pasta with great respect and created dishes with flair and originality. Too often pasta is considered a simple dish to throw together using whatever happens to be in your store cupboard, but that is clearly only half the story. In both Italy and around the world, chefs are pushing the boundaries of what great pasta looks like – certainly a trend to be celebrated.